Want to quickly see how the open-source software NukeViet works? You'll find a free and updated demo installation of NukeViet here. We are currently updating the NukeViet demo. Please check back shortly. There will be a new version up soon. 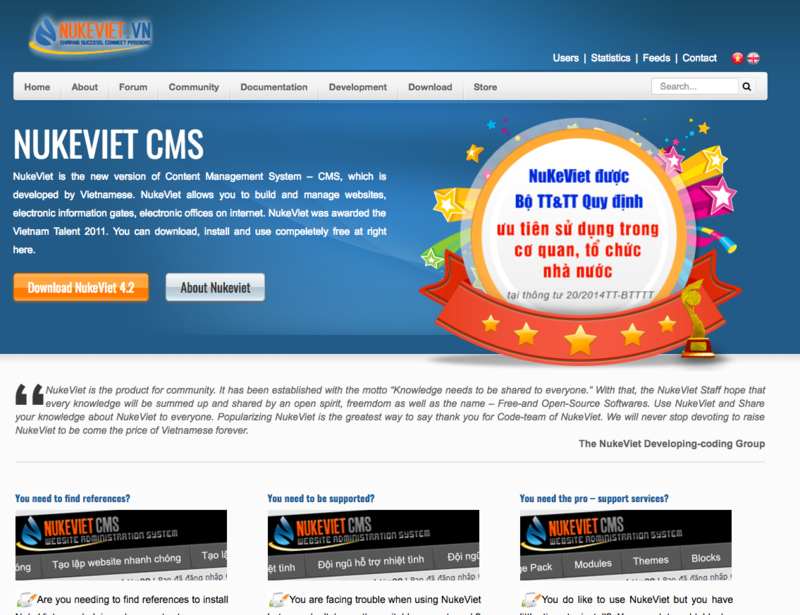 NukeViet CMS is a free open source content management system developed by the Vietnamese. 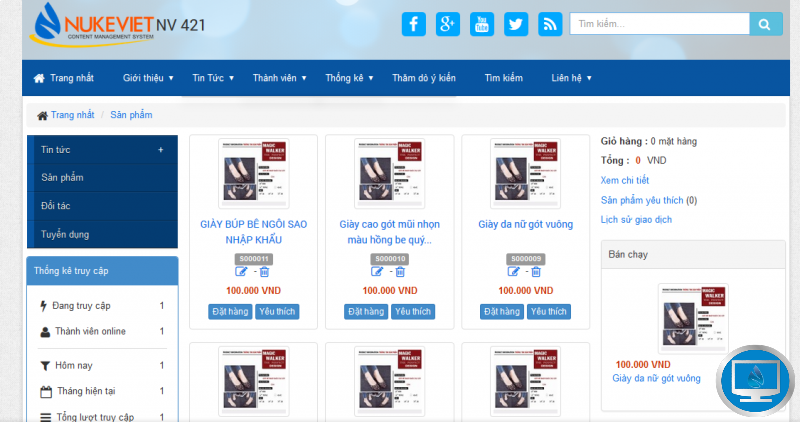 Winner of the Vietnam Talent Award in 2011, NukeViet CMS can be used for all types of websites from small individual webpages and blogs to corporate or ecommerce portals. The project was started in 2004 and starting with version 3.0 it completely changed as an application. If you want to see how the NukeViet CMS demo looks like you can download and install it. 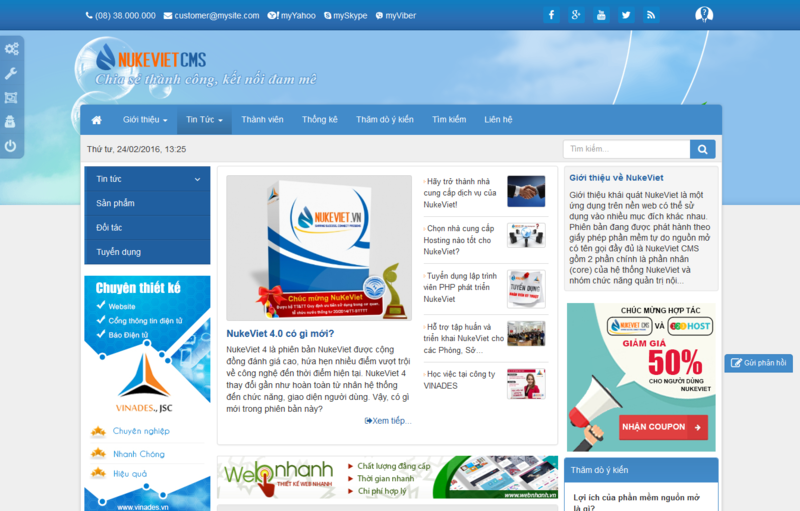 The team also offers installation support, customization for your demo site and copywriting services. The screenshots below give you an idea of how a demo site looks like and what you can do with your NukeViet CMS demo. The latest version available for download is 4.3.02 and was released on February 5, 2018. Discussions for development of version 5.0 have already started and the team is working constantly on improving NukeViet CMS features.